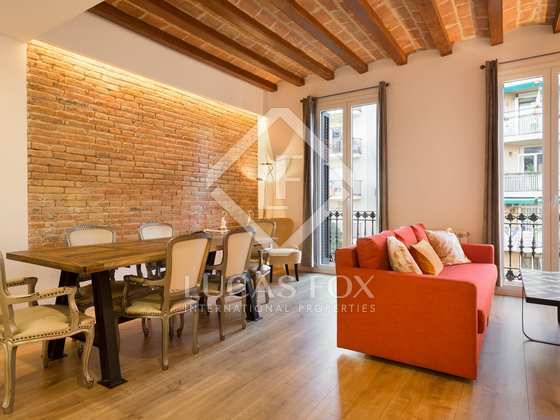 Beautiful 3-bedroom apartment with a tourist licence for sale in a stately building on Carrer Casp, very close to Passeig Sant Joan. 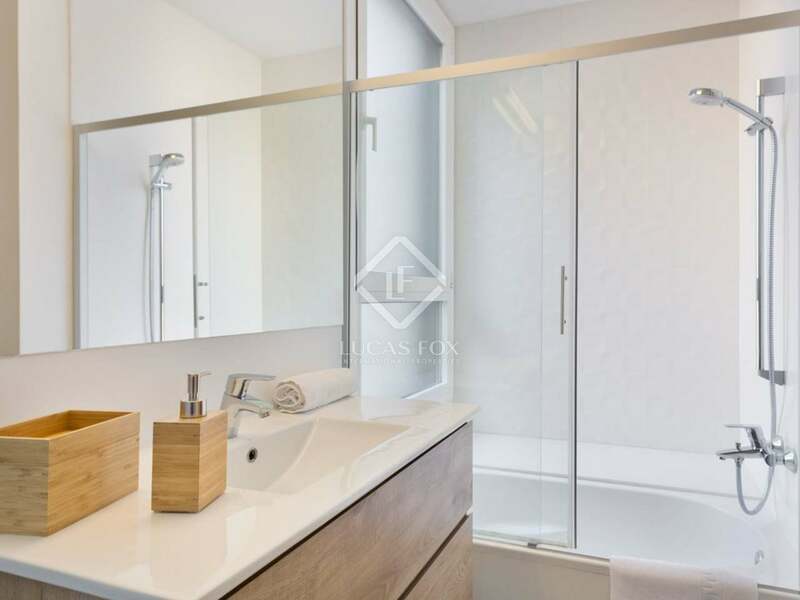 An excellent investment opportunity. 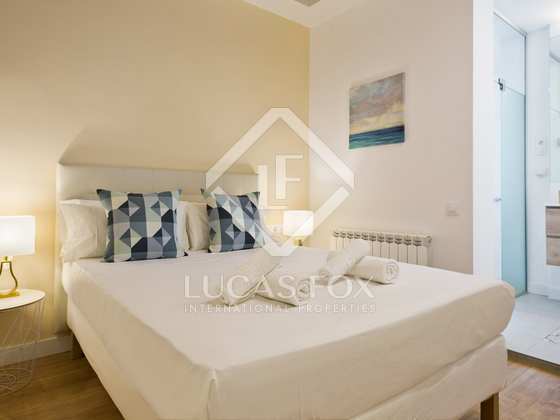 Renovated in 2015 and presented in excellent condition, this 92 m² apartment is situated on the fourth floor of a refurbished stately building with a lift on the pleasant, tree-lined Carrer Casp, very close to Passeig Sant Joan and the Ciutadella Park. The apartment is being sold furnished and has a spacious living room – dining room with 2 balconies overlooking Carrer Casp, wooden floors, a vaulted ceiling with wooden beams, an exposed brick wall and abundant natural light. 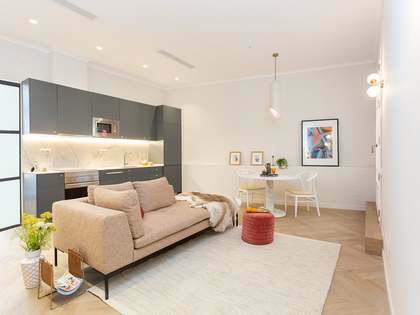 Next to the living room is the modern, equipped kitchen with mosaic floor tiles. 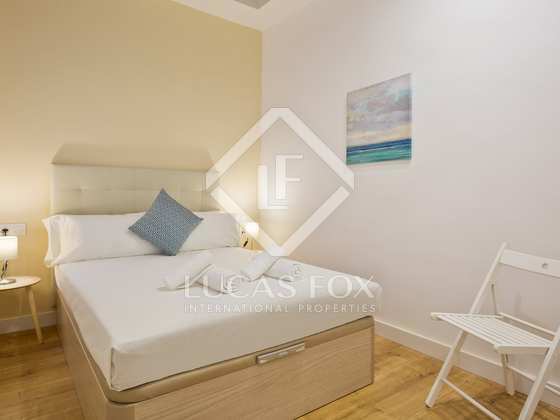 The apartment offers 3 bedrooms and 2 bathrooms, one of which is an ensuite in the master bedroom. 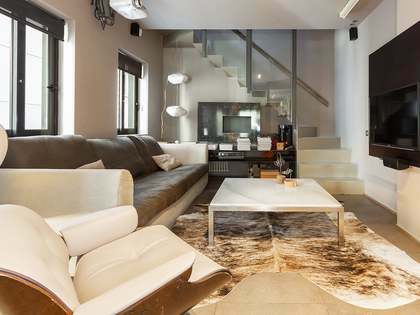 Double glazed windows, air conditioning and heating make this a comfortable, modern home all throughout the year. 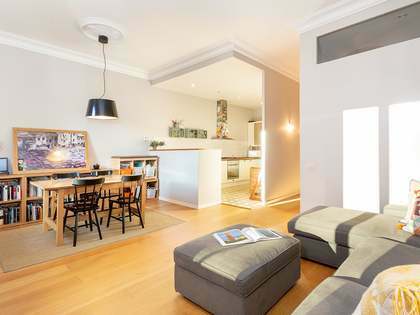 One of the additional highlights of this property is that it has a tourist licence, which offers the lucrative option of short-term rentals when the property is not in use by the owner. 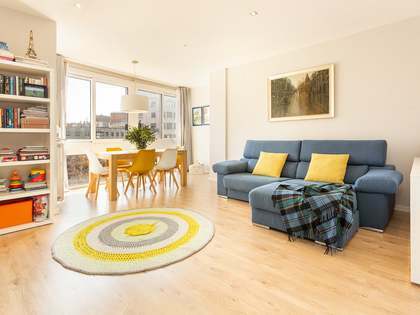 Centrally located, bright, modern and in move-in condition. 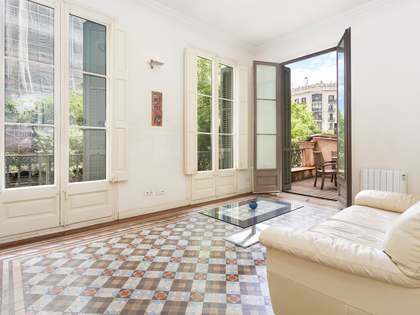 An excellent investment option in Barcelona's Eixample Right neighbourhood. 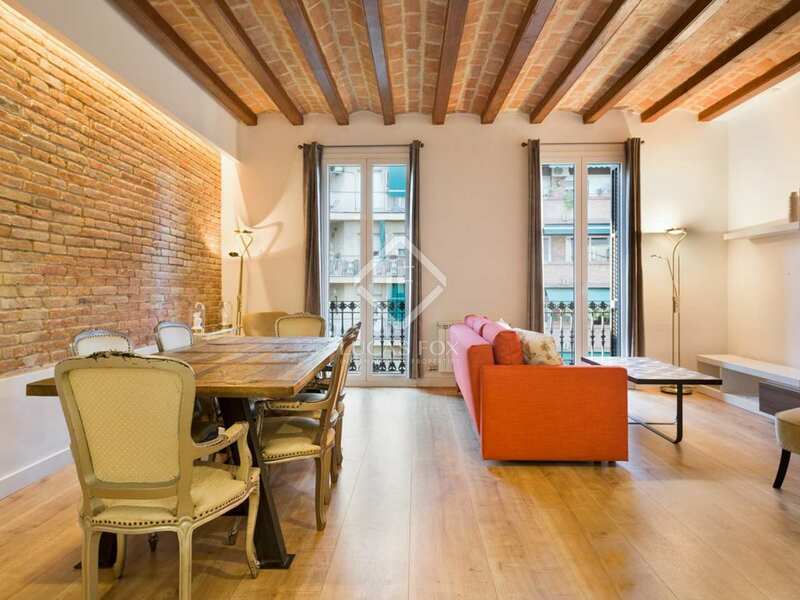 This property is located on Carrer Casp, in the Eixample Right neighbourhood. 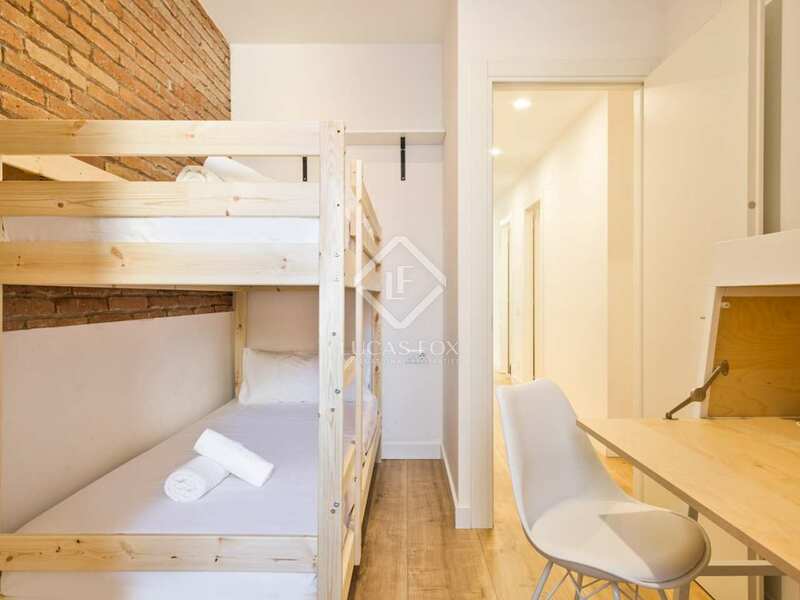 It is very close to Passeig Sant Joan and the Ciutadella Park, in an area with many shops, restaurants, every day services and public transport.